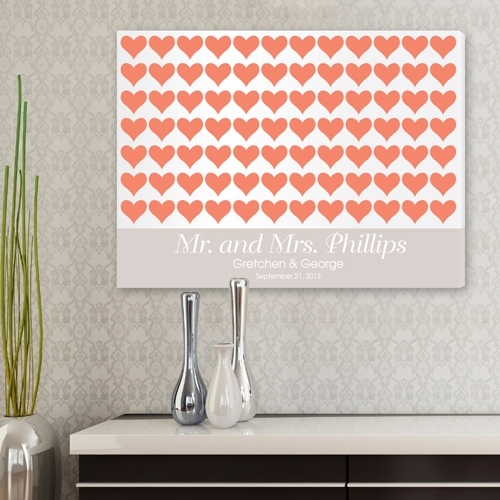 * The red hearts on this signature for the Love of Hearts wall art will brighten up any room! * A lovely bridal shower, wedding, or anniversary gift, it's appropriate for couples of any age! * Measuring 18 x 24" and featuring space for first names and date, this canvas print is a wonderful way to pay tribute to the bright spirit of love!